Turkish Enterprise and Business Confederation (TÜRKONFED) Vice Chairman of the Board of Directors Batu Aksoy said, the bad perception of the tourism problems in 2016 get a lighter recovery in 2017, and get a great number in 2018. Aksoy stated that Turkey now has a good rising,and there is much work to do in the field of especially luxury hotels, marinas, convention and health tourism which will increase Turkey’s potential a lot. As a Holding, they invested in a 560 room capacity hotel in Istanbul, Aksoy stated that Istanbul has a great congress tourism potential as well as the cruise tourism. In the tourism report released by European Travel Commission in 2018, Turkey has the highest increase in the number of tourists among the 33 European countries. According to Euronews, in a report last year the number of tourists visiting Turkey, broke records increased by more than 22 percent compared to the previous year. According to the calculations, the number of tourists for the first time in history exceed 40 million in 2018 and reached 43 million. In the report it is stated that following the attacks and lived coup in Turkey’s 2016, it recovers quickly. The most significant increase among foreign tourists is recorded in the Russians. 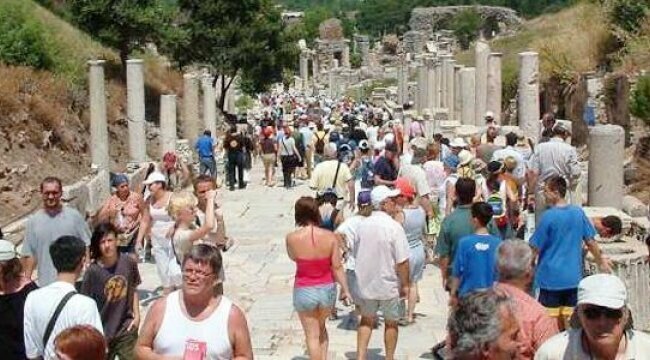 In 2018 the number of Russian tourists visiting Turkey increased by 1.7 million compared to the previous year and reached 6.4 million. Also, as one of the factors for the increase in tourism has shown, due to changes in the exchange rate level in Turkey, is the venue for a cheaper vacation than in other countries. The two countries after Turkey highest increase in the number of tourists in Europe was around 15 percent in Serbia and Malta. Tourism employment also increased. In July, the number of travel agencies and tour operators increased by 11 percent and airline employment increased by 6.5 percent. The growth rate in the food and beverage sector was 6.8 percent. Total tourism employment increased by 9.6 percent compared to the previous year. Last year, the number of employees in the tourism sector, which was 1 million 96 thousand people, increased to 1 million 202 thousand 355 people this year. Turkish Enterprise and Business Confederation (TÜRKONFED) Vice Chairman of the Board of Directors Batu Aksoy said, the bad perception of the tourism problems in 2016 get a lighter recovery in 2017, and get a great number in 2018.